Buying a car Battery: Here are 6 Things you need to know | Help More! 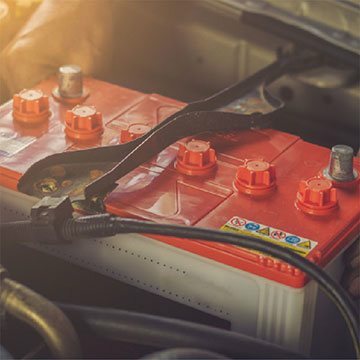 The car battery is one of the most significant parts of a car. It provides the energy required to start the engine and move the car. Unfortunately, like most machinery, the car battery comes with an expiry date. A lifespan of 4 to 5 years is average for car batteries. However, depending on the driving habits, the car battery may have a shorter or longer lifespan. Over time, a battery starts losing its power and produces less output as well. Hence, buying old batteries is never a prudent option. To ensure that the battery was not manufactured long ago, check the date printed on the battery. You can find the manufacturing date next to the serial number of the battery. If the battery was manufactured a year back or prior to that, avoid buying such batteries. Most batteries are of the same size and shape and hence, easily fit in the battery tray of any car. However, it is always advisable to check the size, shape, dimension, and breadth of the battery before purchasing it as many cars do not support the universal size of the batteries. You can either check the car manual or battery specifications before purchasing a new battery to ensure that it is compatible with your car. Different batteries are incorporated with different characteristics and used as per the needs. While some cars require less power and energy, others need a high power battery to operate. The power of the car directly affects the performance of the car and hence, should be chosen carefully before purchasing it. Warranty is essential for any product that is to be used for a brief period of time. A battery lasts nearly 5 years but in case it shuts down abruptly due to any technical fault, you have to pay for the car battery price again and purchase a new one. For situations like this, the warranty is always useful as you can replace the faulty battery with a new one without paying any extra charge. There are two types of batteries found in the market: (a) low-maintenance battery and (b) maintenance-free battery. In a maintenance-free battery, the body is usually sealed and the liquid electrolyte runs throughout the battery life without any need for replacement. On the other hand, low-maintenance batteries have unsealed caps that require distilled water from time to time. Make sure that you know the type of battery it is before purchasing. Different cars come with different power requirements. While purchasing the battery, checking the car power requirement beforehand is essential as the battery needs to be compatible with it. The storage capacity of the battery is marked in Ampere-hour (Ah), and the higher the Ah, the higher is the storage capacity of the battery. While purchasing car batteries, always ensure that you buy from premium car service providers like Car Fit Experts who provide quality products at reasonable rates. You can visit their website and check the Exide or Amaron battery online price as well.